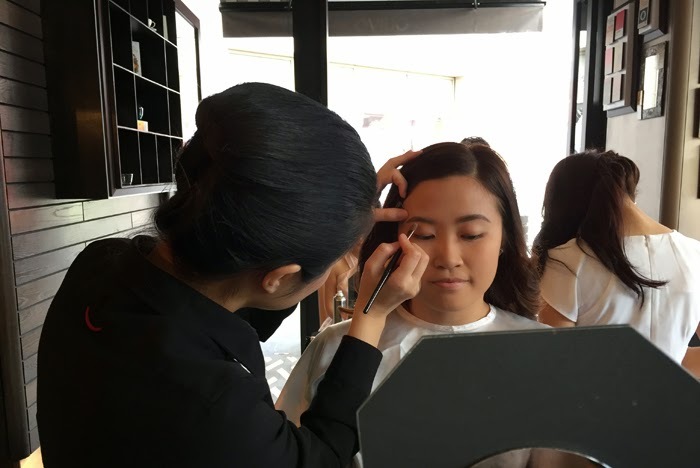 It was an exhilarating moment for one who recently stepped into the world of beauty writing when I was invited by the lovely people at Shiseido to attend a media event for the relaunch of their MAQuillAGE collection. This time, they introduced the Dramatic series. I was thankful that I brought my sister along who is back for a few weeks from New Zealand because I would've been stranded lonely among the fair, tall and skinny ladies stomping about with their designer heels. 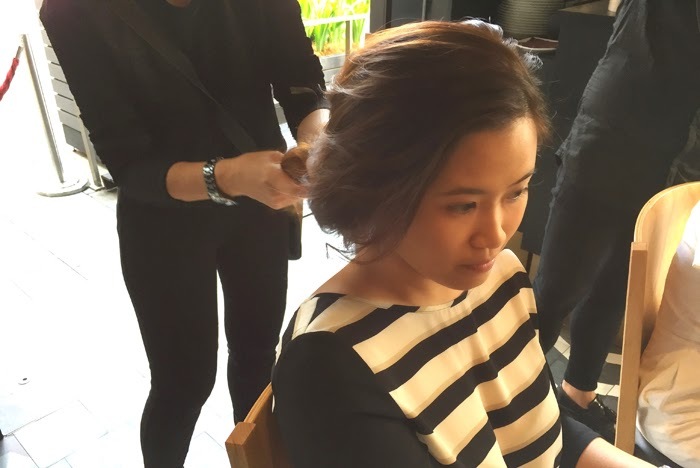 My sister and I enjoyed our "lady-like treatment" (in literal terms) during the event which we described as every lady's dream. 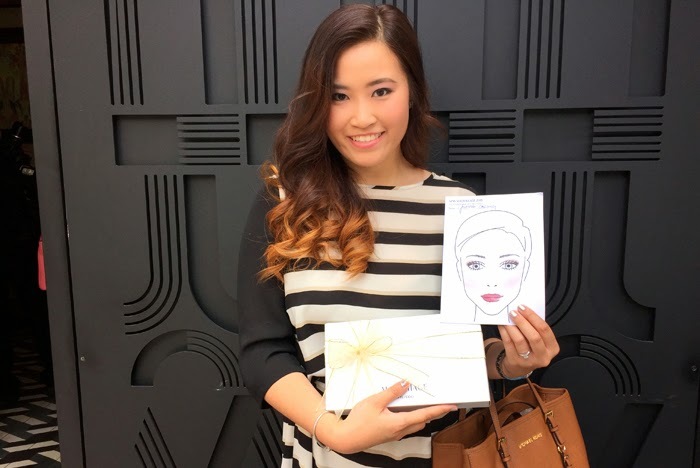 They had booths for make overs (with their new range of products), booths for professional hair-dos, booths for Aura reading which kinda tells you your Aura color and what the aura color means, and a booth for a coloring contest. 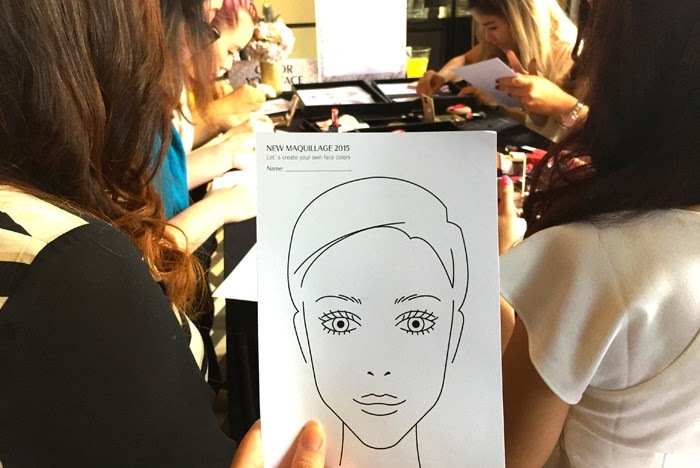 We were given a drawing of a face when we entered the venue and were asked to take part in the competition to color the face with the new range of products from Shiseido's MAQuillAGE Dramatic Series. I was personally unenthusiastic about the coloring contest because well, I'm never good at coloring back in my childhood days anyway. However, my sister who is a brilliant painter/ art freak herself, was super into the shading and whatsoever, which didn't come to a surprise that she won the contest and brought home a limited edition translucent powder. 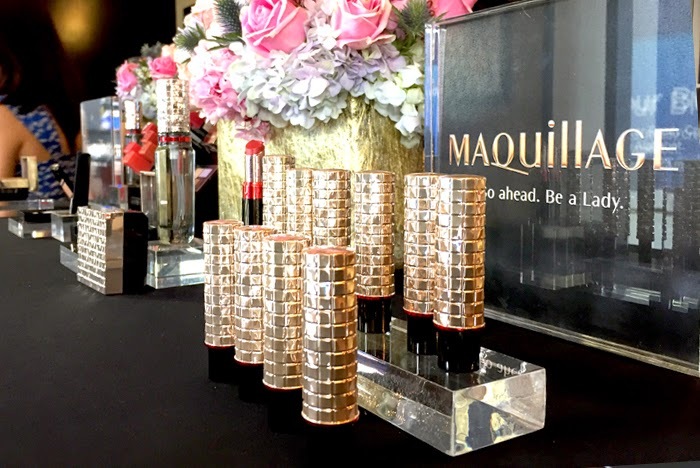 Moving on to the range, the MAQuillAGE collection was first launched in the year 2005 and this time it came about a fresh new look to awaken the true beauty that lies within all women, they call it the "ladylike" beauty. The ladylike beauty is described feminine and elegant with a touch of sexiness, which is the theme that brought about their recent range of products - The Dramatic Series which consists of the Dramatic Melting Rouge (a range of shimmery lipsticks), Dramatic Mood Veil (a set of blusher and highlighter), Dramatic Mood Potion (a body and hair fragrance) and a limited edition True Eye Shadow. 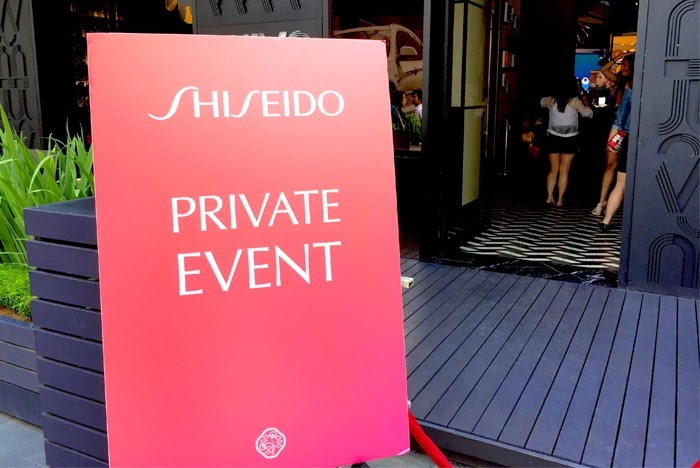 We however brought home the lipstick and the blusher, thanks to the people at Shiseido who were so so kind. 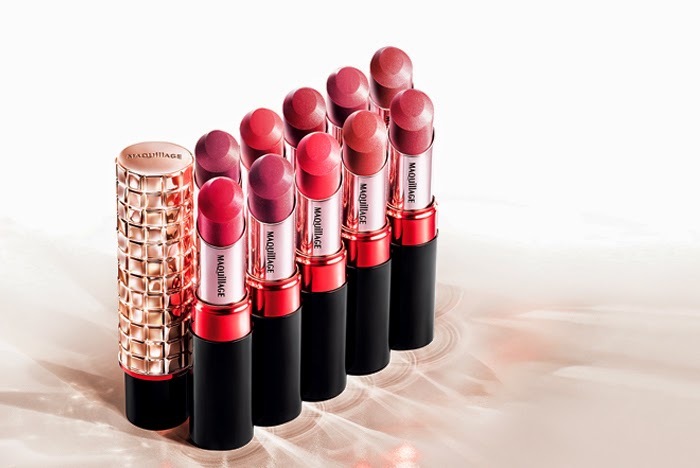 The Shiseido MAQuillAGE Dramatic Melting Rouge comes in 10 rosy shades all decked with juicy, luscious and moisturising pigment which kinda defeats any form of chapped lips; And you and I know that the last thing the world of beauty can do to you is a lipstick that causes chapped lips. I am ridiculously obsessed with this lipstick because the I've always had the problem of beautiful shades of lipsticks but horrible pigment. So, thanks to the "beauty oil" in the pigment that can enhance the shine and moisture on our lips, so we can now say goodbye to cracking lips! whee. All things shiny may be the key to my heart but it can not compare to all things with dual functionalities (or more). 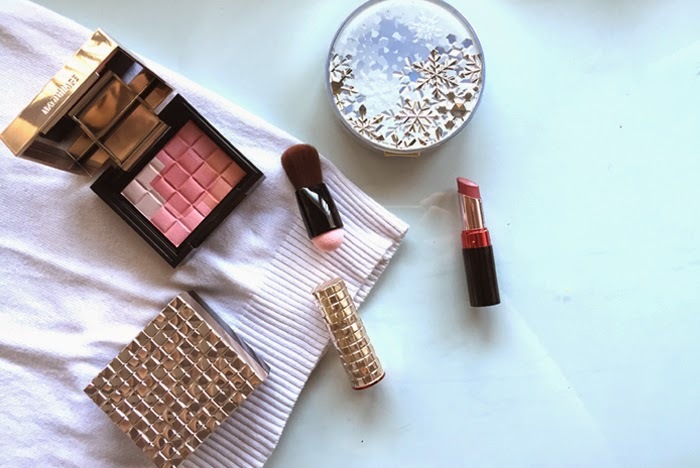 The Shiseido MAQuillAGE Dramatic Mood Veil does just that. 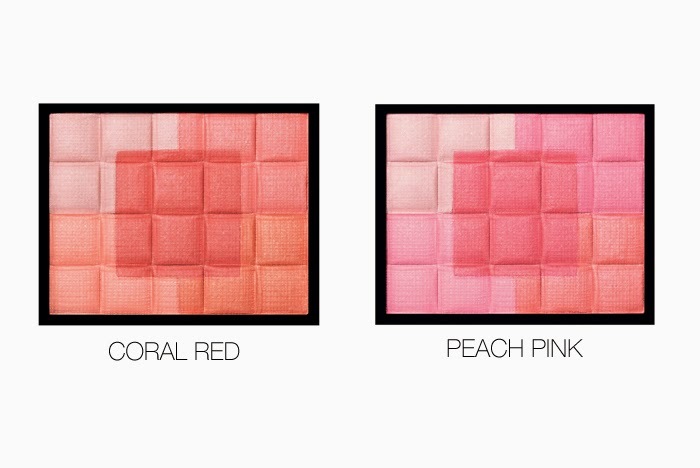 It has probably the best looking blusher packaging I've encountered, and now with 5 colors and 5 textures in them? Not only that, it comes with a dual-end brush which comes with a sponge? What? I mean, talk about being pretty worth the money. Oh yes, before I forget to mention, the 5 colors/textures consists of a highlighter and a blusher, which is sort of similar to the Lancome blusher that I have. 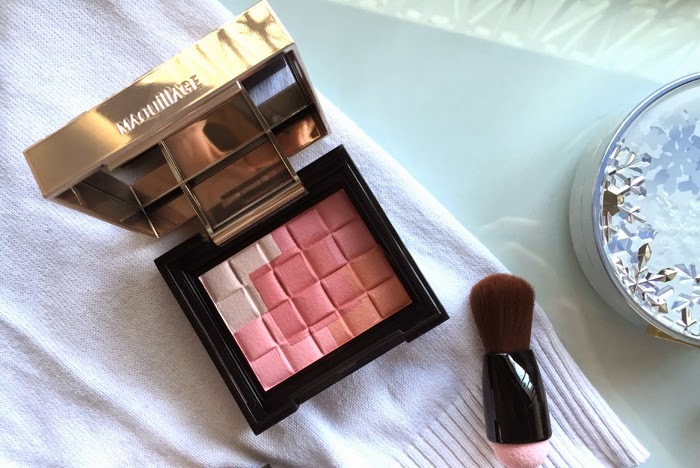 The highlighter/blusher comes in two variations: one towards a coral shade and another towards a peach pink shade which can give your cheeks an extra "oomphs" on a summer's day - or whichever season. Hweph! 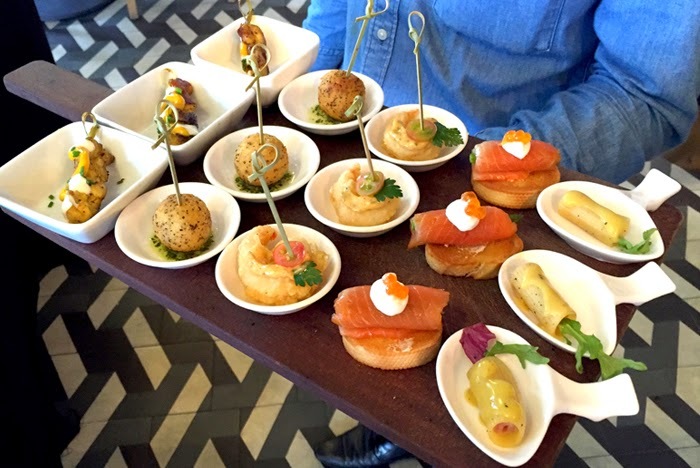 Aside the crazy beauty talk, now it is your turn to walk away with a lil sumthin' sumthin'. 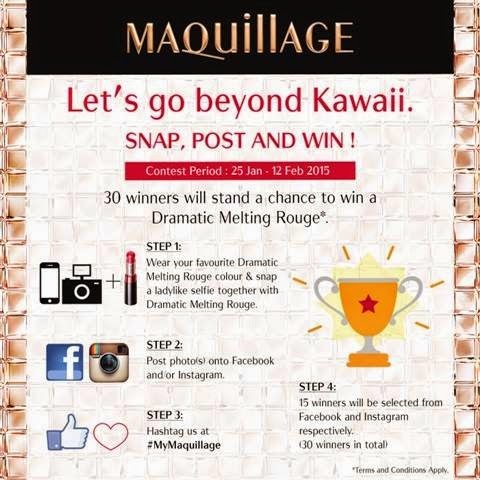 Simply walk into a Shiseido counter, try on your favourite shade, take a selfie with the MAQuillAGE Dramatic Melting Rouge (the lipstick), post it on Facebook/Instagram and hashtag #myMAQuillAGE. 15 winners will be selected from Facebook and Instagram respectively. Woohoo! Goodluck! Be sure to also tag me in it cause I'm fab. Loves!